With full hydraulic control system, DFL-400 drilling rig Can always adjust the rig speed, torque, propeller shaft pressure, anti-axial compression, forward speed, increase speed conveniently and flexibly, DFL-400 DTH drilling rig can meet different geological conditions with different drilling tools. You can load DFL-400 drilling rig directly with high leg supports. Crawler walking is much more suitable for moving in the muddy working site. May be self-crawler chassis, it can be self-propelled vehicle chassis. DFL-400 drilling rig can be self-propelled crawler mounted, it can also be truck mounted according to your requirements. Since DFL-400 drilling rig is with full hydraulic system and top-drive rotary drilling and lifting method, which makes the rig be fit for the various drilling techniques and a variety of drilling tools. Manipulation is convenient and flexible. 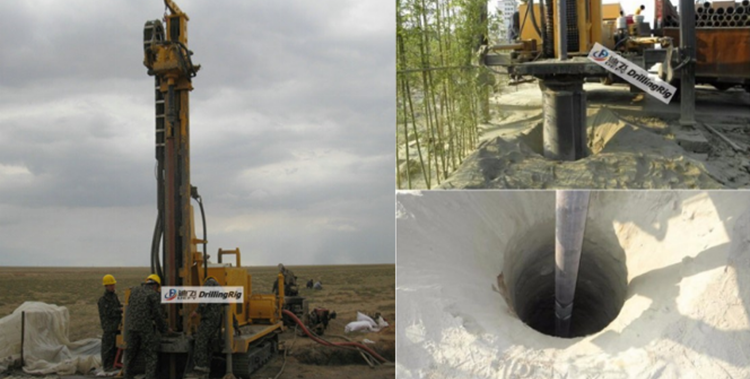 The drilling speed is 10-35m/hr.